Gournes. 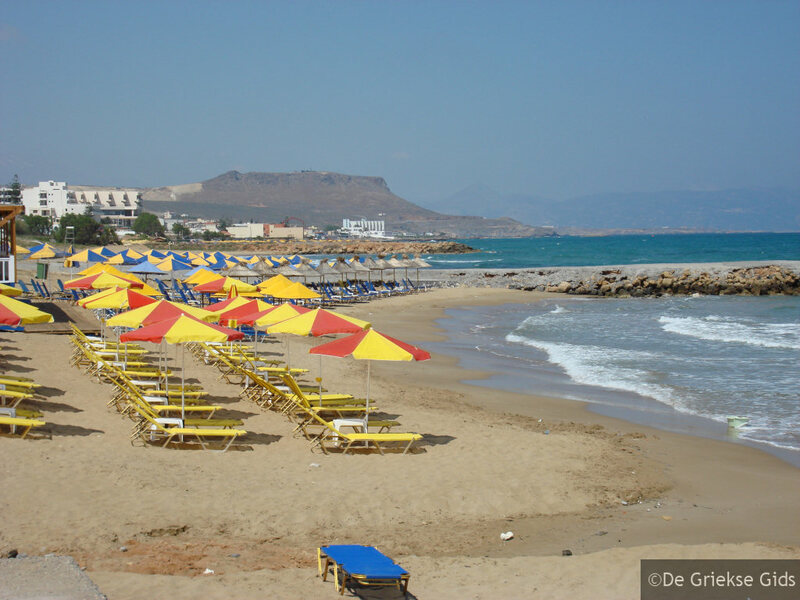 Gournes is the name of a village located on the north coast of Crete. 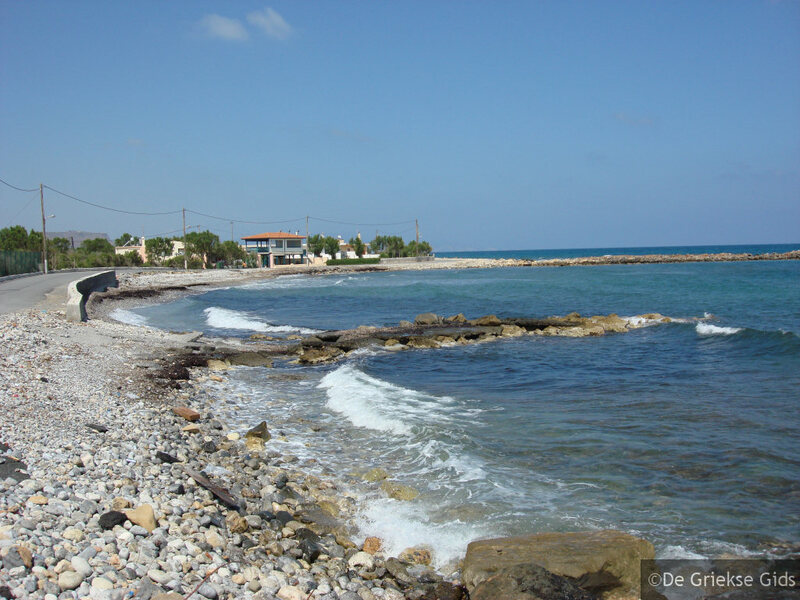 It is located between Kokkini Chani and Gouves, fourteen kilometers east of Heraklion town. It is a tourist village where large and small hotels have settled. 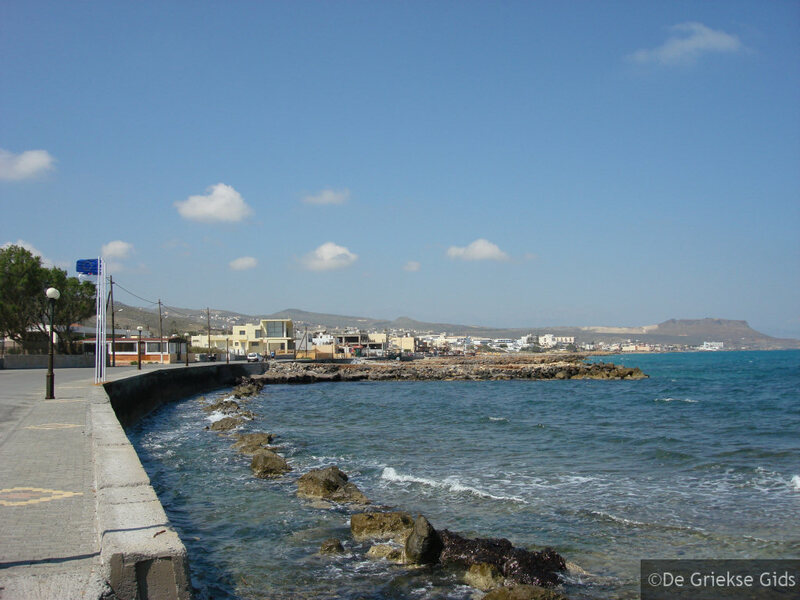 On the main road there are many tavernas, cafes and souvenir shops. In Gournes about 1800 people live, who mainly deal with tourism and agriculture. In Gournes there are nice sandy beaches. 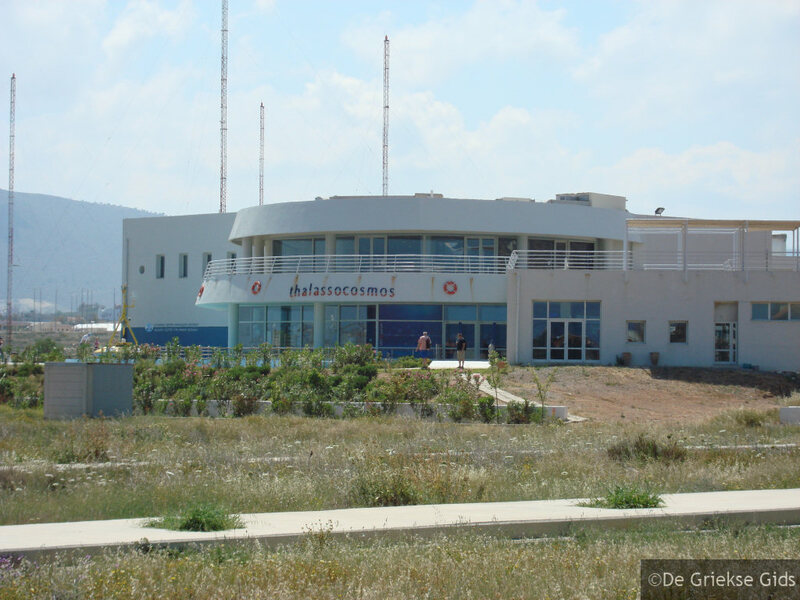 In Gournes“Cretaquarium” (Thalassocosmos) , the Sea Aquarium of Crete is located The exhibits in “Cretaquarium” focus on the flora of the Mediterranean sea. 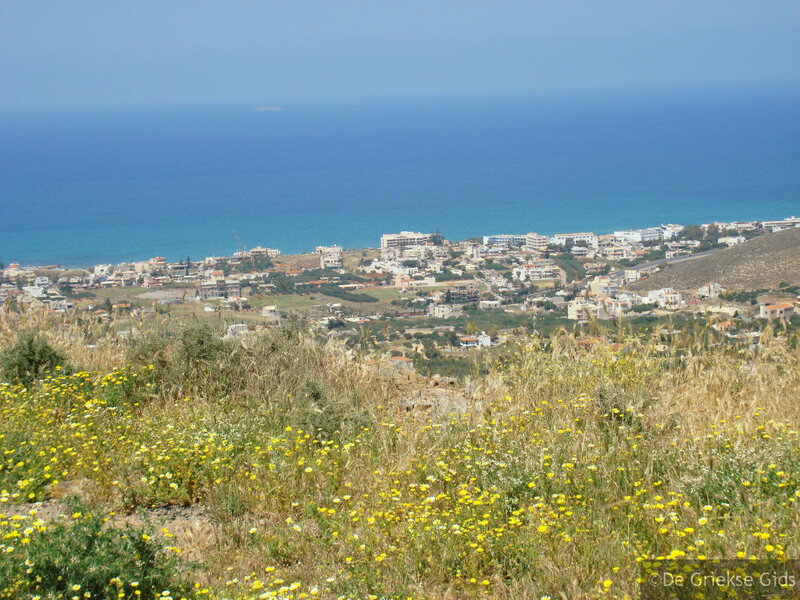 In Gournes are the sights of the ancient tombs and various objects that were found here from the Minoan period. There is also a Dinosaur park which was started here in 2013 at the former US base of Gournes. 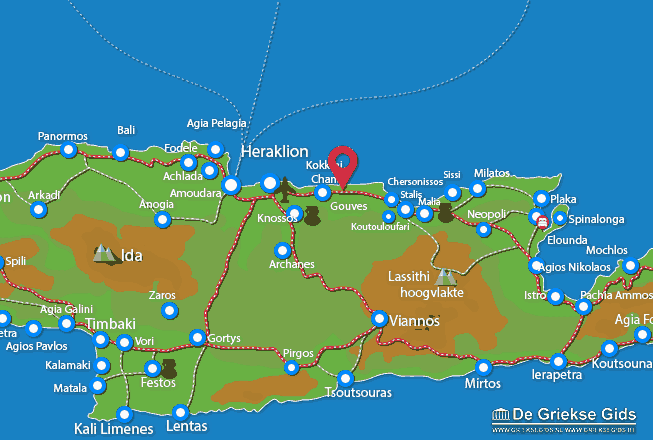 Heraklion Prefecture: Where on the map is Gournes located?